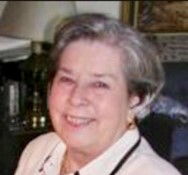 She is survived by her three children, Alan Holmes (Nancy) of Sebring, FL., Ray Holmes (Janice) of Clayton, IL., and Jill Steiger (Raymond) of St. Louis, MO. ; five grandchildren, Alana Murphy (Sean) of Houston, TX., Ross Holmes of Tampa, FL., Grant, Brock and Sadie Steiger of St. Louis, MO. ; five great grandchildren; three stepchildren, Eric (Suzanne) Hamilton of Burnside, IL, Becky Goodman of South Lake, TX and Susan (Curtis) Eddington of Augusta, IL, six step-grandchildren, Nicole (Kyle) Huppe, Jacquelyn Haschemeyer, Colton (Ashley) Eddington, Brodie Eddington, Thomas Hamilton and Maggie Goodman, two step great-grandchildren and one brother, Bob Decker (Kate) of Shelbina, MO., In addition to her parents and husband of 40 years, Robert Hamilton of Augusta, she was preceded in death by her daughter, Jan Holmes of Augusta, IL.